GUK has more than 24 years of experiences in creating opportunities of education especially for the dropout and school out children since 1987. 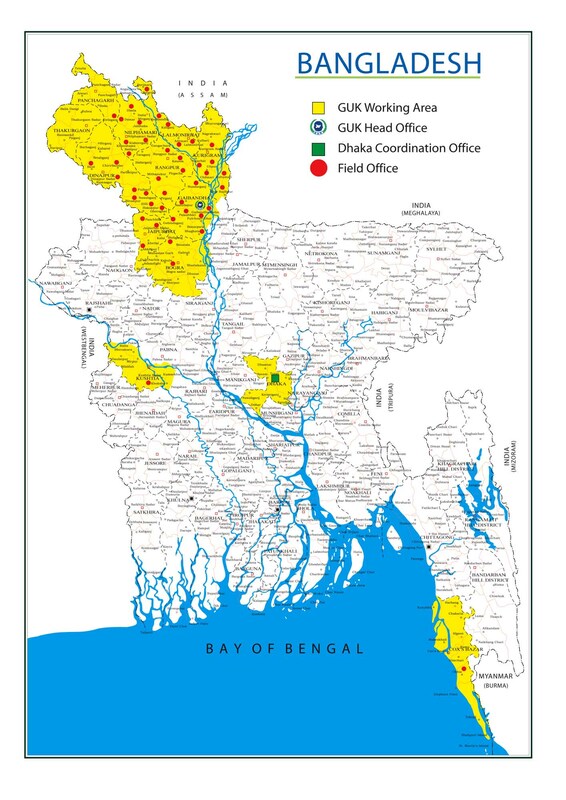 It started Adult Literacy Education Programme in-between 1987 to 1999 and successfully operated more than 132 Adult Literacy Education Centers in Gaibandha district. Respectively it started Non-Formal Primary Education in 1992 in Gaibandha district and since then it has successfully operated 458 NFPE centers from approximately 14 thousands poor students got the opportunity to impart pre and primary education. Among them about 85% students successfully graduated their primary education. Since 2004-2009 it also operated about started again NFPE schools 159 schools for the disadvantaged and drop out children of char and river basin areas in Gaibandha district. It also worked successfully through numbers of Anonda Schools in Gaibandha district. Moreover, by the own initiatives with community people, GUK establishes 2 Junior High Schools and a High Schools in 2000-2004 at the remote char areas. It has been operating Community Schools rooted by the community people namely as Anondolok School with the name of prominent personality within Bangladesh. Copyright © 2019 Gana Unnayan Kendra (GUK). All Rights Reserved.